Sweeping pathsides yesterday turned up quite a few species - flies, sawflies and bugs - though most of the flies are already listed as is the common Anthocorus bug. 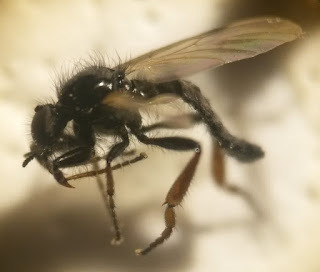 Bibio johannis was a new one to me, (and the species on the front of the Bibionidae key!) 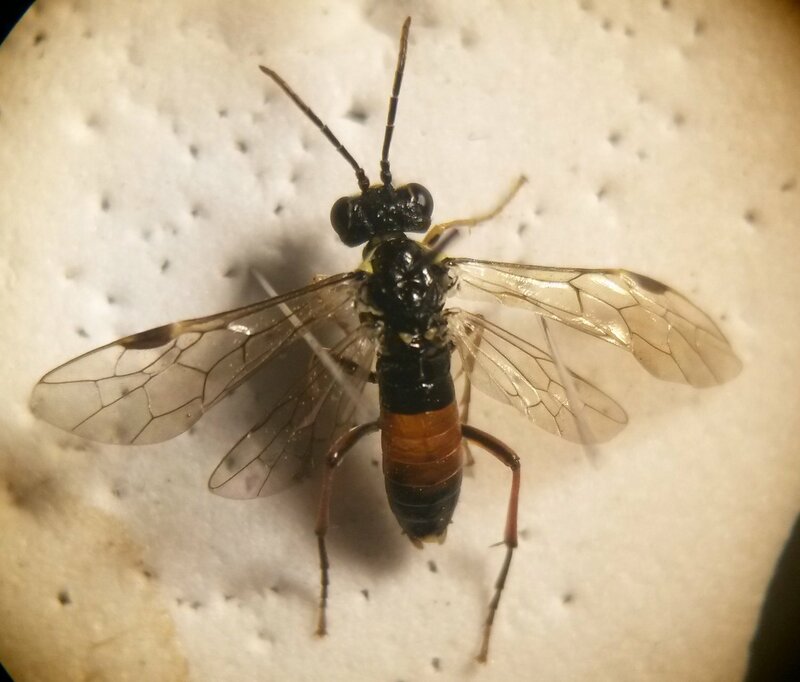 while I was surprised to find that the sawfly Aglaostigma aucupariae was already on my PSL list. Not a bad haul from yesterday then, with five new additions.I also just noticed that I have forgotten to add Arion ater from the other night, so I'll have to do that too.